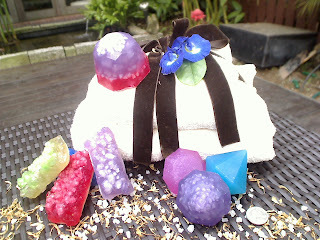 ~Soap Paradise~: Sea Salt Rocks! Love the idea of soaking away in a bathtub? Bath salts, especially from the Dead Sea will ease muscular aches and stiffness. Now you can bring a bar with you to the shower. These soothing and stress-relief soap bars will also help exfoliate your skin, keeping your skin feeling fresh and radiant!